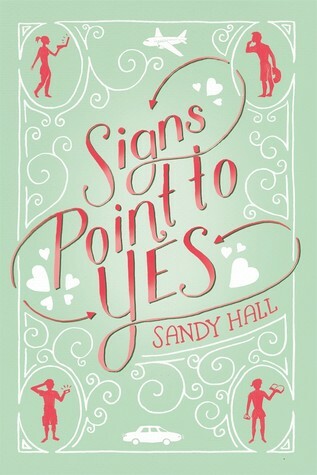 All Signs Point to Yes is a fun and light romance. With completely adorable leading couple. Jane is a funny character. I like that she isn’t exactly motivated to go out and get ready for college. School isn’t for everyone and sometimes you have to get into college and take classes you want to take before you enjoy it. Not speaking from experience or anything. Like I would think Jane could totally flourish in a creative writing class even though she doesn’t think so. Especially since it seems like Fanfics are such a great stepping off point when writing. 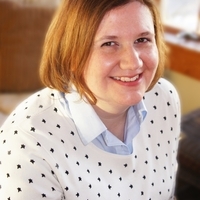 Plus seriously she writes fanfics, that’s awesome. I love how she seems secure in her nerdiness. Like ya I roll with the band geeks what about it. Teo is cute because he is so sweet. Plus he is so good with his sisters. His attachment to Ravi is kind of interesting. I thought for a minute maybe Ravi didn’t like Jane because she was moving in on his territory. I think he was more of a reason why Teo and Jane hadn’t gotten together before. I really loved the kinship of Jane and Margo. They are what having a sister is all about. They get frustrated with the other antics and when they use their stuff, like the car. They are there to support one another and give advice about different things. I wished Margo’s character was flushed out a bit more. I think we get to know her on the surface but her issue of coming out seemed to fall to the back burner in favor of Jane and Teo’s story. If Margo had not been one of the POVs I wouldn’t have expected more. Teo and Jane are super adorable. I loved how they come together and all their awkward instances. Especially when they aren’t afraid to mention wanting to melt through the floor or second guessing if they should have kissed. It’s really cute to see. I didn’t feel like the plot itself was particularly heavy as far as conflict. Teo is looking for his dad and Jane is dealing with a babysitting job and avoiding college discussions. It’s nothing that gets to emotional or digs at your soul but it’s fun and light hearted. Which I like to have every once in awhile. It made me smile and think that was cute when I finished. So if you are looking for a sweet, fun romance that isn’t to heavy on the issues. Look no further this a great book for you. I loved A Little Something Different and I can't wait for this book! Signs point to Yes sounds cute, and adorable.